We have another powerful surge of light coming unto the planet just as we are celebrating the Festival of Humanity also known as World Invocation Day. It is during this full moon that we will experience a partial Lunar Eclipse and then another miraculous energy surge with a Venus Transit. We are in for some very powerful days so be prepared for the ultimate expression of Love that we have ever received on Earth. On June 4th we will be celebrating the last of the three ascension ceremonies known as the Festival of Humanity/Goodwill. It is the time for each of us to fully acknowledge the changes that we have incurred due to the Festivals of the Christ in April and Wesak just one month ago as Initiates and Masters upon the pathway of Ascension. This is always a very powerful time as the Wesak Festival moves us along to fully embrace the gifts that are needed for our present pathway as Lord Buddha and all his initiates move up the ladder of ascension. Those that participate in this event are truly accelerated in their pathways. We found this year to be the most powerful energies upon the Earth as we are asked to stand in our power, remove all that resistance to accepting our newfound essence, and embrace our roles along the pathway of Mastery. At this time, an individual can feel differently about their inner self and surroundings. Changes result in the bodily functions along with the Emotional and Mental frequencies as they start to blend together. Since we are at a very powerful time upon this planet the resulting energies seem to be happening immediately. Many of us are finding that changes have already happened within our lives with our work and on a personal basis which previously could take up to three months to see the results. That is no longer the case. SO WHAT DOES THE FESTIVAL OF HUMANITY/GOODWILL MEAN IN TERMS OF BEING ON A MASTERSHIP PATHWAY? The Will to Organize will further a building process which will be carried forward under the direct inspiration of the Spiritual Hierarchy. As you can see, it is a time to assist humanity in fully realizing that the time is NOW to fully awaken unto themselves and each other. We, as Lightworkers, are given the task to walk the Pathway of Mastership by sharing our gifts and knowledge in the spirit of love and cooperation. As we are walking together as the Masters of the New Earth, it is our responsibility to fully assist ourselves and others in this process of communication of Spirit. Each year this festival occurs as all the Innerplane Ascended Master Beings participate in doing their part for humanity. They have helped us to do so for eons of time and now it is our turn to share with others. So in retrospect this is a very powerful ceremony and probably the most important of the three ascension events. In addition there will be a partial Lunar Eclipse during this Full Moon which promises to announce the experiences of the Festival of Humanity. This eclipse is centering about letting go of all the old ways of being, possibly changing jobs, looking into your lightwork as your profession fully if you are not already doing so, and can mean residence changes. It also seems fitting this year as it is even more miraculous for us to connect at this time as on June 5th-6th (depending on your time zone) there will be a Venus Transit occurring in our star system only one day after this beautiful event. This means that Venus will pass in front of the Sun which will be witnessed by everyone around the world for approximately seven hours (to find out your local time zone, http://transitofvenus.nl/wp/where-when/local-transit-times/). WHAT DOES THIS VENUS TRANSIT MEAN IN RELATION TO THE OTHER ENERGY EXCHANGES OCCURRING? The Venus Transit is very fitting to occur during this Lunar Eclipse as it will be another step for each of us to overhaul our present circumstances. Bringing forth the energetics of Venus within the Earth is going to assist us in breaking new grounds of living ~ IN PURE LOVE. No only is the Venus Transit affecting every individual upon this planet, but Gaia is also going through her own overhaul. Per Sanat Kumara this Venus Transit is the “Great Awakening”. As Venus passes in front of the Sun there is going to be a melding of the Venusian energies unto Gaia which means that she is going to be fully awakened. Per Sanat’s words through a channeling I am sharing, “As this transit occurs, the essence of Venus will open up the doorways unto Gaia for her to accept the part of her that has been lost through the ages of the past.” It is an opportunity for each of us to fully embody the qualities that we speak about and feel in our essences of pure love, compassion, and acceptance of who we are. We are at the halfway mark until December 12, 2012 so these energies are just another wave of frequency that are catapulting us into our true essence. Each individual and living species upon this planet are going to feel this effect. So what is not taken care of and put into wholeness will only affect you on a deeper level. We are being pushed into the next level of our awareness. So continue with the work on all levels and allow the frequencies to accelerate you. When you read something, feel the energetics behind it. This will allow your sensitivities to flow through you. We are energetic beings but our journey up to this point is run through our thoughts and emotions. Take what we have learned from the previous ascension Festivals of Resurrection and Wesak to propel us deeper into the next power surge of light. As we bring forth this light into us, it is going to assist Gaia and everyone else deeply. It is only befitting to have this next energy surge called, “The Great Awakening”. Embrace it deeply and it will take you into deeper levels beyond your imagination. This is all in preparation for the next phase of the Summer Solstice which is going to be another grand affair of Light as the energies of the Atlantis and Lemuria will merge as the Eternal Essence of OM. We are planning to celebrate this event in a very special way by offering to charge Lemurian crystals on the mountain of Shasta for a period of three days to those individuals in receiving their own attunement crystal with a special visualization from Lord Adama. Details are being provided via WalkingTerraChrista.com in the upcoming week. Monday evening at 5 PM Pacific, 8 PM Eastern, 12:00 GMT we will be holding a special call to combine all of these energies and prepare us for the next phase of our journey. A vibrational attunement that will prepare you for this next phase of Light within the planet working with Sanat Kumara. This call is open to everyone; Heart-to-Heart donations are greatly appreciated via PayPal. Details on how to access the call are available under, http://walkingterrachrista.com/tele-calls/. We hope you will join us for this amazing frequency of Light. Please note that this call replaces The Clarion Temple of Oneness which will reconvene on June 11th, 2012 at the same time. To read the full channeling from Sanat Kumara please sign up for our newsletter on WalkingTerraChrista.com which will be the featured channeling of the week. This Memorial Day ~ Healing for All Souls & Changes in the Temple! It was over a decade ago that Christine Meleriessee answered the call from Archangel Michael to join Heaven and Earth within the messages of the Clarion Temple of 911. This was a powerful connection desired by the souls of the 911 event to assist and thank humanity for all their prayers of love, compassion and healing expressed for them and their loved ones. The event of that day in 2001 was the first time in humanities history that humans all across the globe began to consciously be joined en mass — together in unity — for a common cause of the heart. It then came to be called the Clarion Light Beings Temple of 911 & Beyond ~ Unified in Oneness and has grown to change the destiny of millions of souls, both those of whom recently walked upon planet EARTH, and many more from the entire MULTI-UNIVERSE of ALL THAT IS. The Temple now came to represent all the Beings of Light who are eternally committed to answering the call; the Clarion Call of all who seek spiritual aid as the spiritual numbers of 9-1-1 represent “nine”, the movement of God combined with “One”, the Unity of All That Is in relation to the “one”, the individual who is seeking aid from the Spiritual Realm. All participants who joined in on the weekly calls, as human representatives, now became the vehicles for in depth healing and accelerations within themselves, enjoying the high frequency attunements and meditations that were also being experienced by All The Light Beings. Now there are even more changes to bring us all into Healing & Wholeness within the Temple. We have come to a juncture of time for each of us and in the pathway that we are embarking upon. Changes occur and we need to flow with those elements of the passage of time. Today is one such day as The Clarion Temple of 911 & Beyond ~ Unified in Oneness is moving into a new frequency of Light. In addition to the releasement of the Cosmic Oneness call, the Cosmic Great Central Sun would now move to overlight the energies within the Clarion Temple of 911 call. (A few months ago Mel and Mike had asked the Unified Whole to fully put the Temple into wholeness of the 144th dimension so this was an added element.) On that first combined call, Divine Mother and Father God brought forth their energies in a beginning overture. Meleriessee’s dearest friend and colleague, Fred, who has been the Spokes-Being of the Temple since the beginning still provided an introduction. But yet, in that moment, she knew that there would be a change. As in all good things that occur, individuals are healed and must move forward whether they are in or out of body. Mel had this same occurrence with her Gatekeeper, Robert, about 15 years ago when he said he would no longer be “Robert” but “Solebterium”. He was still her Gatekeeper and watcher of all who come to her in Spirit, but he had merged with his Higher Self due to the work that he and Mel were doing together. With this merging of Higher Essence Aspects for Fred, he will no longer be introducing the energies for the meditation as he has done so for many years. Divine Mother and Father God will bring forth the introduction through an attunement and clarification of the energies for the evening. It is not without sadness that Meleriessee accepts this change, but Fred is graduating and he fully would not have been able to go as far without this amazing Temple of Light. 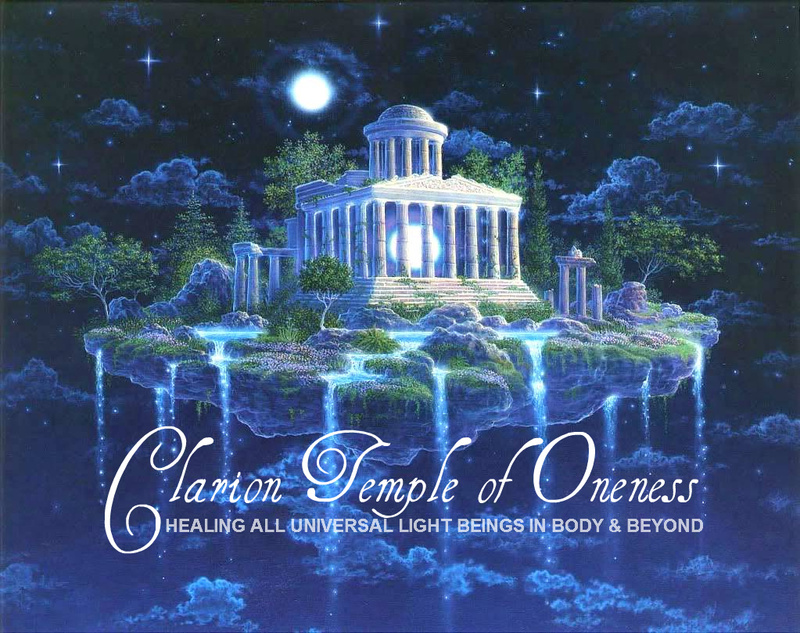 All are invited to join in the now newly renamed Clarion Temple of Oneness ~ Healing for All Universal Light Beings in Body & Beyond on Monday evenings, 5 PM Pacific or 8 PM Eastern, 24:00 GMT. The call is accessible via phone or Skype. Please see the website http://walkingterrachrista.com for details on joining the weekly Tele-Calls and also on receiving special channeled messages in the newsletter. In addition Mel and Mike are in the processing of updating the transcriptions on the original blog site: (http://clarionlightbeings911.com). Heart-to-Heart Donations welcome by clicking here! Author Rev. Christine Meleriessee and Rev. J. Michael Ara HaydenPosted on May 27, 2012 Categories ascension, Attunement, Clarion Temple, Cosmic Energies, Cosmic Great Central Sun, Divine Mother and Father God, higher consciousness, OnenessTags Archangel Michael, ascension, attunements, channeling, Christ Consciousness, clarion call, Clarion Temple of Oneness, cosmic oneness, healing, heaven and earth, higher consciousness, light beings, light work, meditation, Oneness, soul healing, spirituality, Twin Tower TragedyLeave a comment on This Memorial Day ~ Healing for All Souls & Changes in the Temple! Barely a week ago we all went through another magnificent doorway of the integration of the Divine Feminine Balance within our existence upon Earth. This one proved to be the most powerful as the Sun and the Moon fully intertwined their energies into the Creation of the One. Here in Mt. Shasta we were honored to fully experience the eclipse within the essence of the majestic mountain we love so dearly. This week has been beyond powerful for me and my partner. The past six months we have been going through a whirlwind of frequencies as our partnership became aligned within one another. Not only was this intense for us to come together in union but to remove all the old timelines that held us back previously along with accessing the timelines that fully never came to fruition. We have learned how to live to together cohesively in love and full cooperation. For me this has been quite a huge challenge as my life previously was living as a single woman (previously married many years ago) doing the work with Spirit and being halfway in the corporate world. Without the beautiful assistance of many Lady Masters of Quan Yin, Lakshmi, Isis, Pallas Athena, Lady Portia, Lady Nada, and Mother Mary just to name a few I would not be in this amazing state of grace within my life. I learned that I did not fully integrate the Feminine Divine due to my need to control my world through my mental levels. I accepted the fact that I could surrender myself unto my partner, Mike, as he would support that part of me that I was releasing. It took me to a deeper level than I could imagine. One would think that as an independent woman you would loose yourself but in truth, I found a new meaning within me. This has accelerated my work beyond what I could ever imagine. As we partner together in this pathway, his role in my pathway of teaching has brought me to a position of being more grounded than I ever thought I could be and removed the elements that stood in the way of my total integration. Both of us have surrendered unto each other in the roles of the Divine Masculine and Feminine balance within each of us and together. This is what this Solar Eclipse of May 20th represented upon the planet as it was to be embodied within Gaia and each of us. But this is only the beginning of our pathway in 2012. We have much to do within ourselves and with each other. The energies have just started to flow and it is up to each of us individually to work through the processes that the Universe is providing to us at this time. Just to say, “Oh, it was an eclipse and it was beautiful,” is not good enough. Each of us need to embody these frequencies within our Being so that we can fully understand our part upon the Earth at this time. Every one of us as a role to play and we are being given an opportunity to fully activate our existence. We held an amazing call on the day of the Eclipse in which we gathered with individuals to experience these energies on a deeper level. You may download this recording (unedited) to experience the energetics that were brought forth. Please check the blog, entitled, “The Union of the One” with a special channeled decree and background information on the ceremony for the day. We are now moving forward as 2012 promises to be the year of great change for each of us individually and collectively. On June 4th we will celebrate the Festival of Humanity/Goodwill and also known as World Invocation Day in many areas of the world. This is the third ascension celebrations and probably the most crucial one. We have traveled through the the journey of the Festival of the Christ in April as we resurrected our energies in preparation for Wesak. Then we experienced the most powerful Wesak Celebration in the history of planet Earth on May5th, 2012 in which we as initiates and masters fully accelerated ourselves for the next step of our journey. The Solar Eclipse only helped us to accelerate even more deeply. Now is the time for us to fully accept the transformation that we have allowed to enfold within our Being. It is our time to show who we are and some of us may not even know what that may be. Additionally, we have another powerful earth energy on the June 5th-6th of the Venus Transit when Venus passes directly through the Sun and the Earth. Then, again, on the 20th of June we come to the Solstice which proves to be an unprecedented event here in Mt. 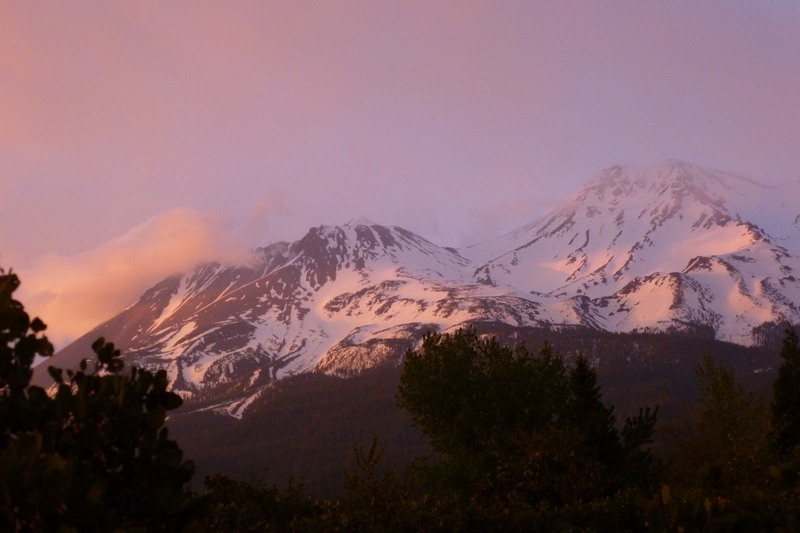 Shasta as the Atlantean Crystal within the mountain will combine with the Lemurian energies already implanted here. James Tyberonn has brought forth some very powerful information via his site, http://www.earth-keeper.com/. We are also creating a special project during this time and will be bringing forth that information this week. We will be holding another powerful call on Monday, June 4th to celebrate these wonderful events. There will be another blog this week to detail this connection call with additional channeled information on what the Venus Transit means for each of us. Energetically these elements are going to be catapulting us into the way of life that we have been working towards for many years. Each of us has made the decision to be here on Earth at this time and to fully accept the important roles that we have chosen for ourselves at this magnificent time. I refer to my personal experience again just to relate how deep these elements are working through us as we fully allow them to be accepted in our life’s purpose at this amazing time on Gaia’s land. Immediately after the Eclipse, my channeling took on a new dimension. Wesak was very powerful for me and I have participated in these energies for 13 years. The frequencies have allowed me to go into deeper levels than I could ever imagined because I put out great intentions for it to be a very powerful force in my life. 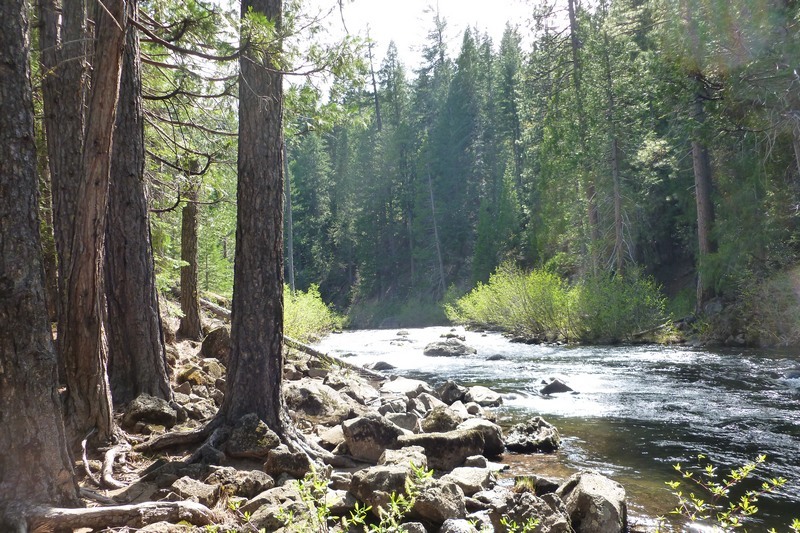 This year my partner and I did a separate ceremony in the forest of Northern California not only assisting us but putting forth prayers into the lands. We are being told that this is bringing the animal kingdoms into alignment with the frequencies also. Right after the Eclipse we had our Clarion Light Beings 911 & Beyond call which is a weekly meditation. My channeling went to a new level as now the Cosmic Great Central Sun is overlighting those energies. Spirit has been pushing me for some time to get deeper with the vibrational chants which is something that is not easy for me to do. I am not a singer, as I am sure you can tell, but yet my voice gets into the higher notes as I access my I AM Presence through the process. I laugh and say that if my mother was alive today she would be quite surprised. We also conducted our monthly Mastery Class of the Journeys of the Chakras through the Rays of God. We are integrating the the chakra grids up through the 5th dimension by accessing the Rays up through 22. On Wednesday evening I conducted the most powerful channeling of my life in which I channeled the beings represented by the Great Central Suns from the Solar through the Cosmic. It changed myself and Mike deeply as the Crown Chakra was more opened than we ever thought possible. (This class series is available via http://walkingterrachrista.com and is a journey that is magnificent. I share all these elements as I want everyone to realize that no matter where you are on your pathway, the length of time or the depth of your essence, we are constantly changing. Many of you know I have walked deeply through this journey and share my essence with each of you. I have worked very diligently through many processes to get where I am but that is always changing. Even the Masters that we love and adore are continually working through their elements so that we can come back into that essence of Oneness that we are together. So I say to you, keep doing what you are trying to achieve, take time for yourself in between, and you will see dramatic results in your life. I appreciate your love and support in all ways. On May 20th, 2012 we held a very powerful conference call to connect with like-minded individuals for the celebration of the Solar Eclipse. The following is a special Decree I channeled along with our discussion portion of the call with background information of the Light Beings that assisted us in the vibratory frequencies on this day. It was a very powerful call and we thank all of the individuals that attended; MP3 download is available (unedited verision). It is May 20th, 2012. Overlighted by our Divine Mother and Father God, the Cosmic Great Central Sun. I feel the connection physically as my I AM Presence is activated through the entire process. As the Pleidian Council of Light fully overlights this moment of rebirth. Waves and Waves of frequency flowing through me and into Mother Earth. We are all in union with one another. Today we are experiencing an unprecedented event upon our planet that is going to propel each of us into a new way of Being. The key point is allowing these energies to do their job within our physical existence. It is our pleasure today to come together with each of you to celebrate these energies and have a closer relationship with the Beings of Light that are assisting in this profound energy exchange upon our planet. The Sun represents the male aspect and the Moon represents the female aspect. The Moon is surrendering herself onto the moon essence to assist Gaia. In native tradition the moon being Grandmother and the Sun being Grandfather, the parents to the Earth and the Sky energies of this planet to help them come more fully into alignment. This means that as the wayshowers each of us are being attuned to the same energies within us. Some may already have done so, may be in the process, or having a difficult time in the marriage of their Self. 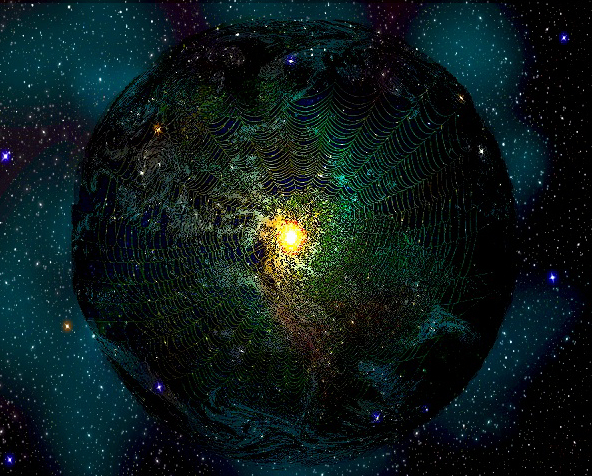 This frequency is only going to help us become deeper within ourselves and thereby, assisting Gaia also. Within this amazing integration, Pleiades is also being brought into the mix which means that the Planet of Pleiades is merging their energies within the Sun and Moon so there is going to be a direct alignment occurring within our planets. This connection is going to assist in individuals upon the Earth to come together more in harmony as the Pleidians represent community, love of each other, and acceptance. We were guided to give some background information on the Beings that are working with us today. They are: Helios & Vesta, our Solar Logos, possibly from RA the Sun God, along with the Pleadian Council of Light. Helios and Vesta are our divine parents in the heart of this solar system. They abide in the very heart of the sun, and serve with the solar hierarchies The predominant quality of Helios is illumination and the predominant quality of Vesta is truth. The God consciousness of Helios and Vesta regulates the activities of the sun and sustains our physical solar system and they guide the spiritual evolution of each planet. We can visualize the solar flares coming from the sun as direct light emanations from the heart of Helios and Vesta, impelling us to raise our consciousness to new levels of love, wisdom, divine empowerment and self-awareness that bring our planetary home closer and closer to solar awareness. Is considered the ancient Egyptian Sun God. He had become a major deity in ancient Egyptian religion, identified primarily with the midday sun. 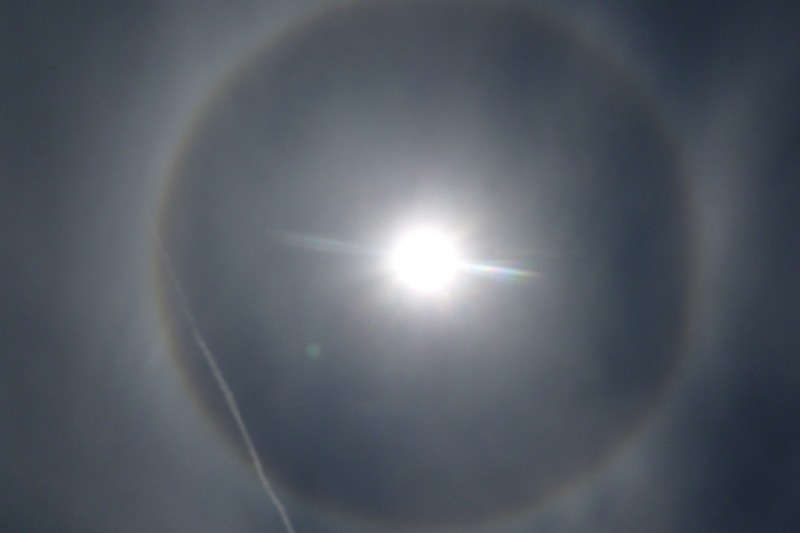 The meaning of the name is uncertain, but it is thought that if not a word for ‘sun’ it may be a variant of or linked to words meaning ‘creative power’ and ‘creator. He formulated that the spoken word would be the vibratory mechanism for a Being creating themselves into a planetary environment that was made of matter. Prior to that it was thought forms which are not of a material matter as in Etheric or Spirit. RA assisted the formation of eternal beings moving into a material existence. He set up the formulation of the voice being the mechanism with the frequencies that we as a species are able to do and command. Voice takes the thought and moves it into a physical vibration. Helios & Vesta along with RA represent the 13th Ray of God known as Vibratory Communication that is part of the 4th dimensional chakra grid integrating within the Throat Chakra with the color of Violet Pink. The Pleiadian Council was formed approximately 200,000 years after the first Great Galactic War. The aftermath of the Galactic war in the Lyra system sent the humanoid Lyraen civilization throughout the galaxy. After a period of over 200,000 years the Pleiadian civilization began to flourish. Not only were the four main planets of Erra, Semjase, Ptaah, and Quetzal thriving, but Pleiadians were beginning to explore and terraform other planets in the Pleiadies star cluster and beyond. At this time the Pleiadians formed the Pleiadian Council of Light (also known as the High Council, locally). The Pleiadians Light Council provides Spiritual, Tactical, and Governmental guidance to the Pleiadians. The Council consists of 12 members per division with 12 divisions in total creating a total of 144 elected High Council Members. There is hierarchy among the divisions with the Grand Council of Light being headed on the planet Erra. The Council performs many different tasks overseeing the entirety of Pleiadian relations with the rest of the Galaxy. The Pleiadians Light Council is an essential member of the Galactic Federation of Worlds and has a enormous impact on the decisions made for the galactic whole. The Pleidians are well known for their sense of humanity, heart-centeredness and assisting in clearing all past elements that get in the way of accessing our higher minds, egos, and hearts. The Pleidian Council of Light represent the 14th Ray of God known as Illumination & Mastering the Divine Plan including releasing the Mental Mind that is also part of the 4th dimensional chakra grid integrating within the Third Eye Chakra with the color of Deep Blue Violet. It is our pleasure to bring forth this information and connect with each of you for this magnificent event. Thank you for joining us. On Sunday, May 20th, 2012 Planet Earth will be experiencing an amazing Annular Solar Eclipse along with the New Moon energies. This eclipse will start at Mt. Fuji, Japan and end in Mt. Shasta, California, USA. In actuality since it starts in Japan, it will be May 21st crossing the International Dateline and ending in the US on May 20th. To find out your exact time zone, see Annular Solar Eclipse May 20th-21st, http://www.timeanddate.com/eclipse/solar-eclipse-may-2012.html. An eclipse of the sun occurs when the moon revolving in its orbit around the earth comes between the sun and the earth. The moon blocks the light of the sun and a shadow of the moon is cast over the earth’s surface.. During a solar eclipse, the moon actually casts two shadows towards earth. One shadow shaped like a cone is called the umbra. This becomes narrower as it reaches the earth. No direct sunlight penetrates into this area. The path of this is called the path of totality (http://www.colorsofindia.com/eclipse/whatsolar.htm) . This eclipse is marking the reflections of the old way of being purged and the new frequency of light to be accelerated. It represents the old gridlines to be transformed with the higher vibrational rays of light. For this eclipse we are experiencing the old ways of Being in the masculine way of life to be transformed into the Feminine Divine through the frequencies of Light via the rays of the sun. In Native teachings the Sun represents the Masculine energy of the Grandfather and the Moon represents the Feminine energy of the Grandmother. Grandfather Sun and Grandmother Sun are intertwining their energies as the old gridlines of the past are going to be purged by moving into total darkness, the void. During this phase there will be removal of many timelines and pantheons of the past that have gotten in the way of the attainment of Mother Earth and Father Sky meeting once again. 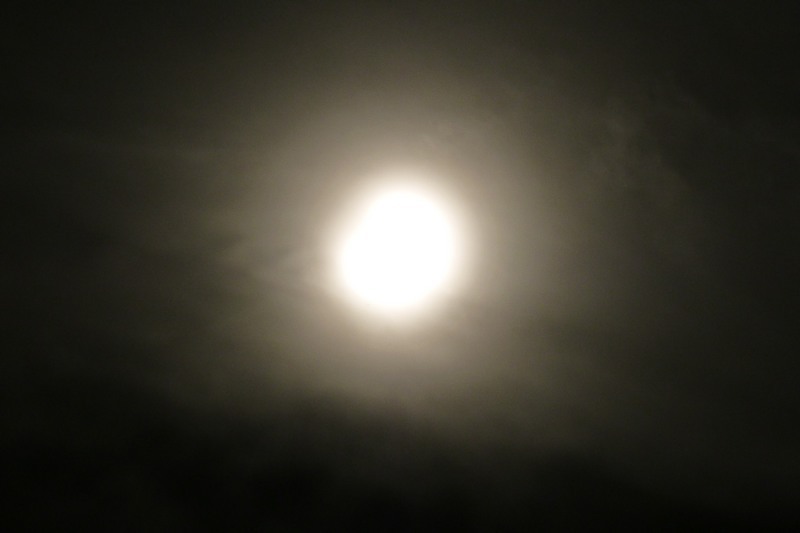 As the moon will be reflected through the Sun light, it will reappear with a new face. Removal of the old elements of the masculine being in power will come into alignment with the moon of the Feminine Divine. As the Feminine Divine comes into her power, she will realign with the energies of the male aspect which has been resurrected through the process. This is a mirror for what is happening to every individual upon the Earth, as we are now coming into full alignment with Mother Earth and Father Sky as Grandmother Moon and Grandfather Sun will guide us into the next level of our creation. It is our time to fully move once again into the purging process to align our physical beings with the intention of our higher self’s. We could relate to the concept that Grandmother and Grandfather are the Higher Self of the Mother and Father of Earth. They will show the way unto the planet to fully purge and renew itself just as each of us is doing individually. This will be a time for each of us to go further into our inner selves. With the energies of Wesak and the ascension ceremonies that have taken place and another one to occur in another two weeks (Festival of Humanity/Goodwill), it is a perfect time to fully go deeper than we have before. We are in a new way of living upon this Earth and the only way that we are going to move through the process of complete Oneness within the physical is to allow the creation of our planet to assist us in the process. Additionally, this eclipse is in direct alignment with the Sun and Moon with Pleiades. This conjunction will allow for the physical connection of the Pleiaden Light Beings in a more direct manner. As many know, the Pleiadens are very active within Mt. Shasta along with other Inter-Galactic Beings of Light so we will be fully accelerating our Golden Frequencies of Light with the interaction of the Inter Galactic Races of Light which will prove to be a very powerful time of alignment for each of us. Join us for a special call directly from Mt. Shasta where the Eclipse is going to meet with Japan at 5 PM Pacific (which will be in the middle of the Eclipse), 712.432.0900, code 856350#. For any additional information please see WalkingTerraChrista.com. We will conduct a special ceremony to assist everyone to receive the highest vibrational benefit of this Solar Eclipse. Included will be connection to the energies of the Sun and the Moon, Gaia, Inter-Galactic frequencies, and the forces of Light. We hope you will join us for this momentous occasion which is only the beginning of this miraculous journey. 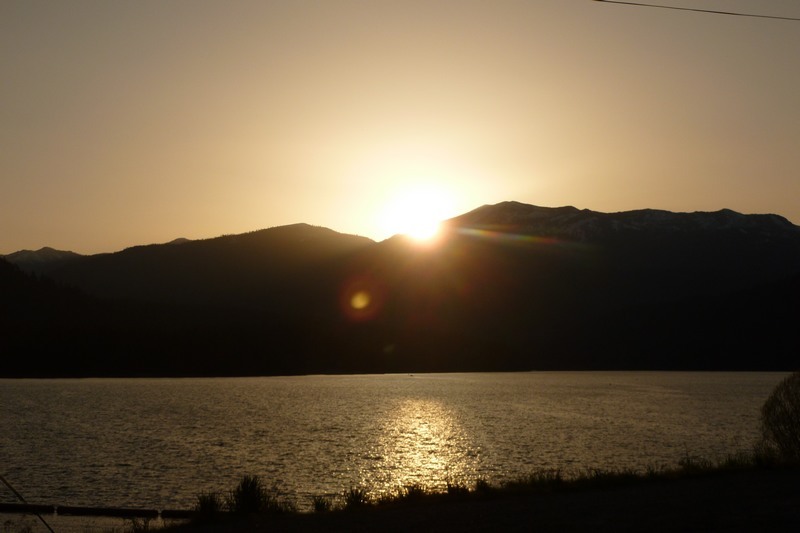 We have major events happening on June 4th and then again for the Solstice on June 20th – 21st.